The Geiger Group has over 38 years of combined experience in the financial services industry working with affluent families, entrepreneurs, corporations, corporate executives and private business owners.The structure of our team allows us to work together cohesively and seamlessly, using our individual strengths and abilities to create a deep knowledge base that we apply to building collaborative, long-term relationships.We believe that managing wealth involves far more than managing an investment portfolio. It begins with developing a holistic, comprehensive understanding of who you are and the financial forces at work in your life. It means helping you understand and respond effectively to these forces. And, of course, it means helping you invest your assets in a way that reflects the realities of your life and the uniqueness of your long term goals.As Financial Advisors, we are committed to building a relationship of trust in which we can work closely with you to help you define your objectives, explore alternatives and choose the financial and investment strategies that are most appropriate for you. As our relationship evolves, we hope you will come to regard us as a valued resource and professionals who can help you make a more informed decision on any financial issue. Our most important goal: to help you achieve your objectives, providing guidance that helps your wealth do more for you. Shaun Halberda is an active member of the Northern Virginia Technology Council (NVTC) that supports the work of the Equal Footing Foundation. Equal Footing is a non-profit organization working to encourage leadership and provide an engaging, hands-on technology learning environment to children through its various STEM-focused initiatives. He also volunteers his time with the foundation as a Member of its Board of Directors and Chairman of its Young Leaders Board. As a senior advisor on The Geiger Group at Morgan Stanley, Sean brings over 21 years in the industry, as a wealth manager. He offers both competent and professional advice. By combining Sean’s knowledge of wealth management and desire to help people live more meaningfully, he has realized his professional and personal goals. Sean provides comprehensive wealth management advice. His focus is on how to help his clients grow, preserve and distribute their assets in the face of volatile financial markets and life-changing events. He can help individuals and families seek a comfortable retirement, tackle long-term-care issues, and other factors that may erode wealth over time. Sean believes a balanced life is the essence of happiness. As such, he is dedicated to helping his community be a better place to live and work. 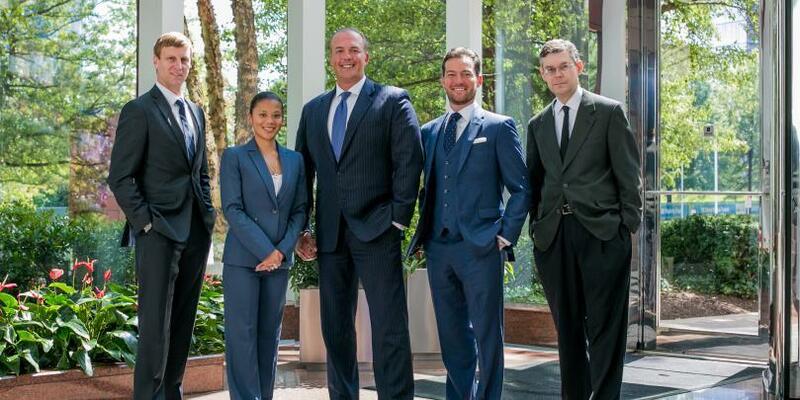 Chris is an advisor on The Geiger Group Wealth Management Team at Morgan Stanley. He focuses on portfolio management, market analysis and implementing investment strategies. Chris has been guiding seasoned business owners, corporate executives and other high net worth individuals and families through the wealth management process for nearly a decade. After taking time to understand each of his client’s unique needs and goals, he constructs strategies tailored to meet their immediate and long term objectives. Chris received his MBA from University of Maryland’s Smith School of Business in 2015 and holds a BA from University of Delaware in 2006. His long running passion for investing and financial markets began during his undergraduate work, where he held a leadership role at the school’s investment club. During his graduate work, he was the Portfolio Manager of the school’s Global Equity Fund, where he managed a team of analysts and directed the fund’s investment decisions. In his free time, Chris enjoys a wide variety of sporting and physical activities – including golf, soccer, racquetball and paddle boarding. Ben provides support in all phases of client service, relationship management and account maintenance, and assists with the business activities for the Geiger Group. He focuses on understanding clients needs and communicating with them frequently. Ben is committed to delivering the highest level of professionalism and exemplary service to every client. Ben is a 2014 graduate from Franklin and Marshall College in Lancaster, PA with a major in Business, Organizations, and Society and a minor in Economics. After graduation, he became Series 7 and 66 registered while working at the Morgan Stanley office in York, PA. Ben comes from a family with ties to Morgan Stanley  His father, Mark Brennan, is currently the Branch Manager in York, PA.
Ben grew up in Baltimore, Maryland and now resides in Tysons Corner, Virginia with his fiancé Ivana. He enjoys watching and playing sports, as well as spending time exploring the D.C. area with his fiancé.